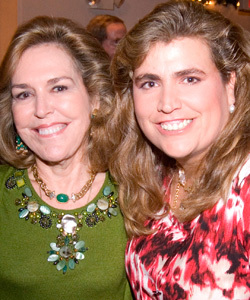 PALM BEACH, FL – The Fanjul family will chair the 2012 New Hope Charities 19th annual Holiday Bazaar. This year’s event will be held Nov. 29, 2012, at The Beach Club in Palm Beach. Lillian Fanjul Azqueta is the founder and president of New Hope Charities, and daughter Lillian “Lyanne” Azqueta is executive director. The bazaar will include fine gifts from Palm Beach merchants as well as food, drinks, music and dancing. Silent auction items include fine jewelry, art, accessories, holiday décor, home décor and more, all benefitting the New Hope Charities Family Center in Pahokee. Founded in 1988 as a food distribution program, New Hope Charities Family Center provides comprehensive social services to families in impoverished communities in western Palm Beach County. Programs include after-school care, full-time summer camp, low cost or free healthcare, bimonthly food distribution, family programming and more.